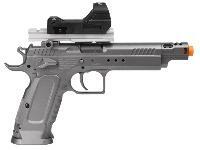 The Tanfoglio Gold Custom semiautomatic airsoft gun is a rugged & versatile CO2 pistol for aspiring competitive airsoft shooters. 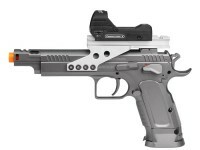 This sleek full metal pistol is based on the firearm of choice for five-time International Practical Shooting Confederation Champion Eric Grauffel, and looks & feels just like a real firearm! The gun features realistic CO2 powered blowback recoil, a 17 rd magazine and a shot velocity of 320-350 fps (using .20g BBs). 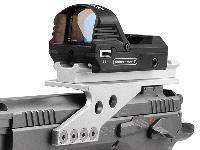 The pistol also has a dot sight mount & BAXS hop-up unit for enhanced long range accuracy. 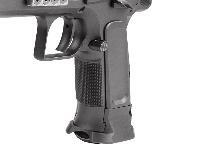 This pistol is an excellent choice for airsoft enthusiasts who are looking to explore competitive shooting. Things I liked: Exactly the same as the real gun. 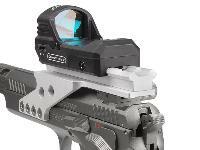 What others should know: Go to BAMairsoft to see how this gun can be used as training for IPSC. Things I liked: Most accurate gun I have ever used. 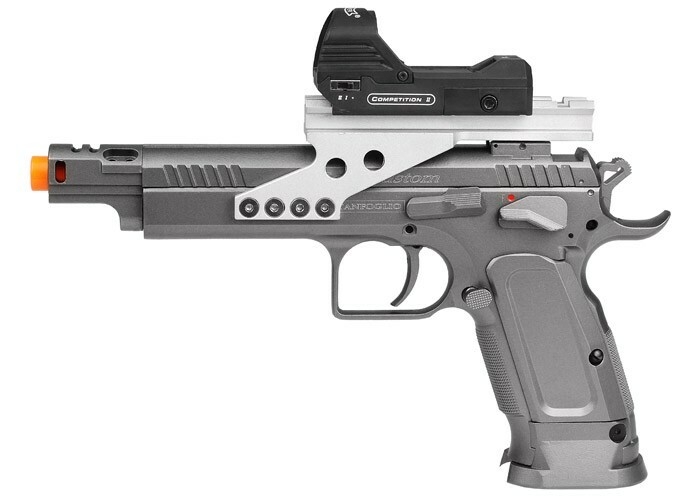 Can you shoot metallic BBs through this pistol? 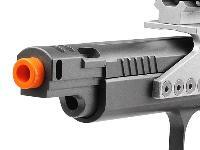 No, this is designed for plastic airsoft bb's. 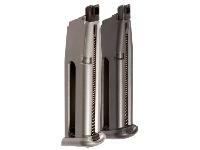 Includes: .25g King Arms airsoft BBs, 2 pistol magazines, Walther Competition II Top Point Sight, & 12g CO2 cartridges.